Things have been a little quiet on the Tim & Eric front, though Tim Heidecker is currently blowing up the charts with his 9(-9-9)-song tribute to Herman Cain. 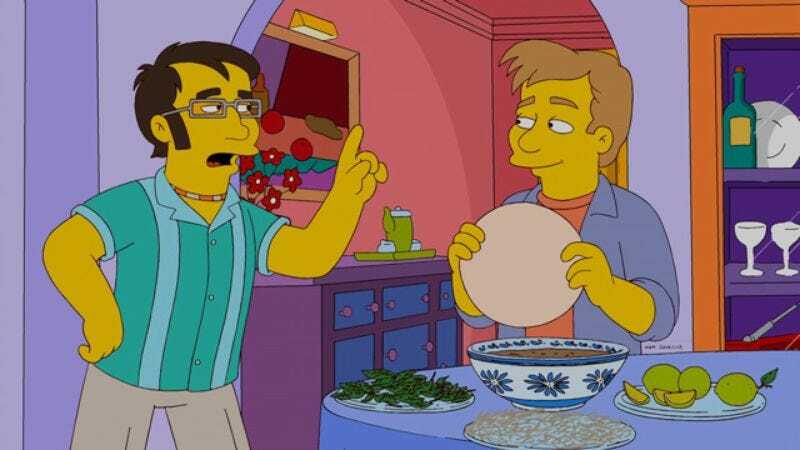 But the duo will be back onscreen together on this Sunday's episode of The Simpsons, which Eric Wareheim tells us has something to do with foodies. The onslaught will continue in March of next year, which is the likely release date of Tim And Eric's Billion Dollar Movie. Stack that up with a second season of the duo's Check It Out With Dr. Steve Brule (starring mad genius John C. Reilly), also due in March, and your spagett will be overflowing.